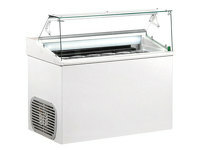 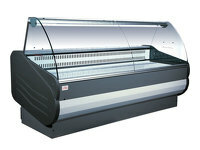 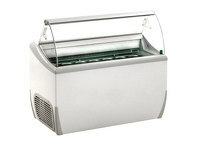 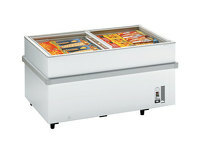 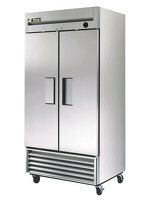 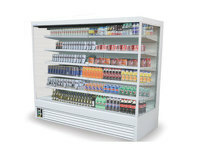 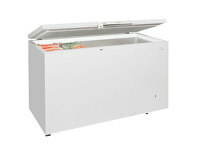 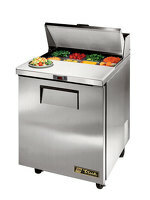 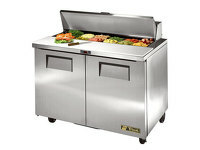 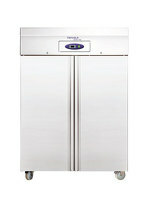 The largest available in the range of refrigerated prep counters is the TRUE TSSU-72-18. 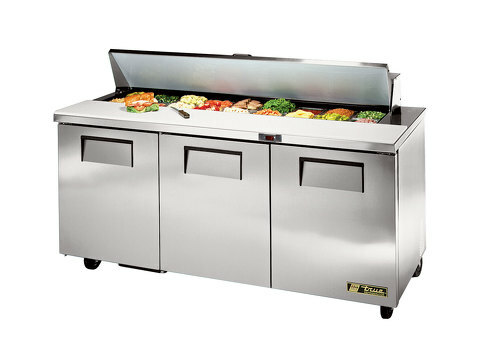 Its is a salad prep unit with a large workspace, three doors opening onto a 440 litre capacity, and a very large easy to reach refrigerated ingredient access area ideal for busy service in bars and restaurants. 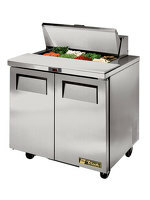 The refrigerated gastronome quick-access food containers keep your ingredients at a low temperature during service increasing the product shelf life and decreasing wastage. 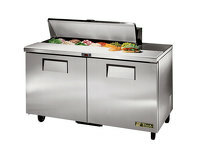 This sandwich prep unit is ideal for busy short order kitchens, maximising storage space and efficiency. 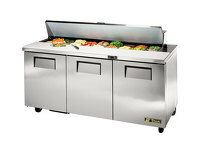 Refrigerated prep counter are now standard for working kitchens, as the dual purpose makes efficient use of workspace and promises longevity is with all TRUE refrigeration equipment.